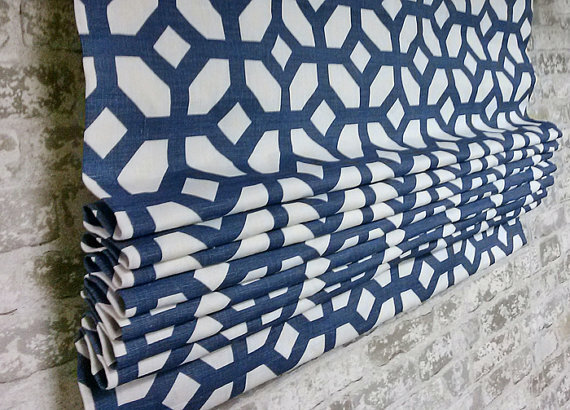 I've always been drawn to this Alpine Blue fabric. They make great roman shades or drapery panels. This company, in general, is a good resource for custom-made roman shades or other window treatments, in case you happen to be looking for fabricators. 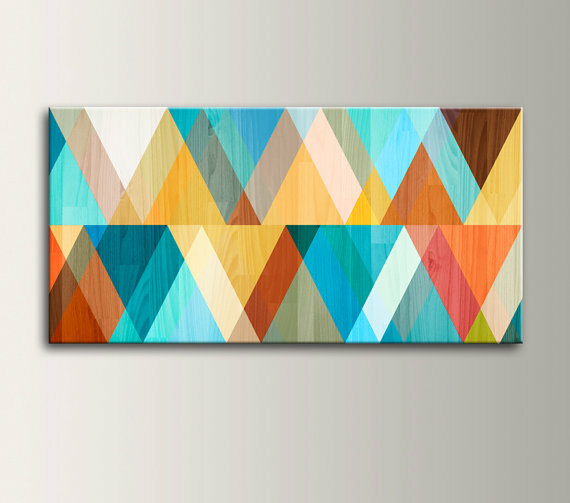 I love the colors in this modern wall canvas. It would make an especially terrific color scheme for a boy's nursery or bedroom (but would work anywhere in the house). 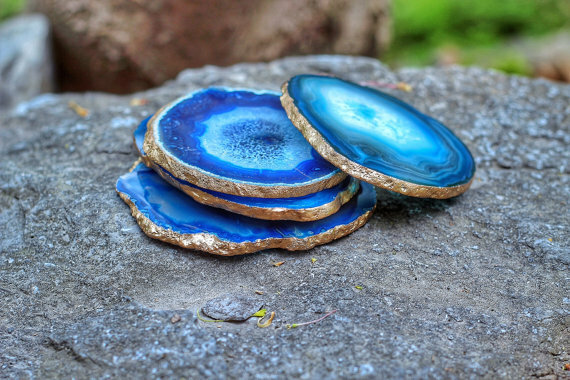 This agate coaster set would make a great hostess or housewarming gift. Great price too! 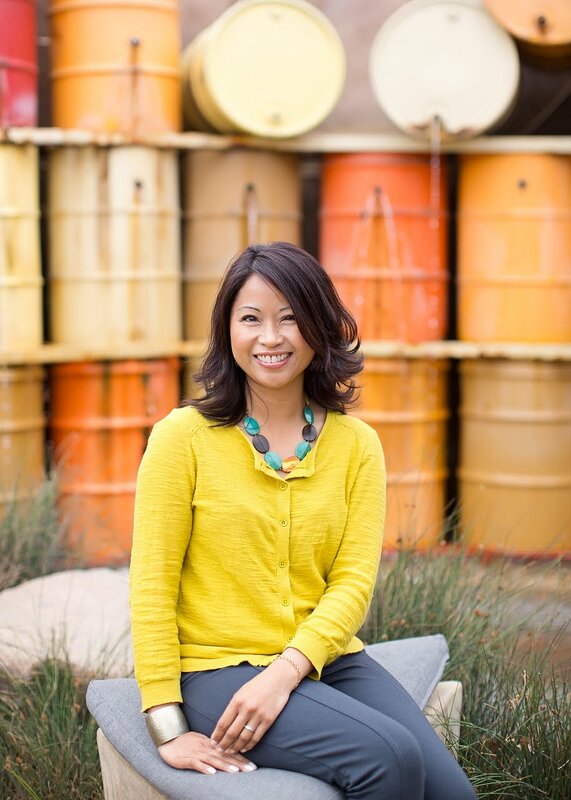 I have spoken about my love for mud cloth textiles in the past. 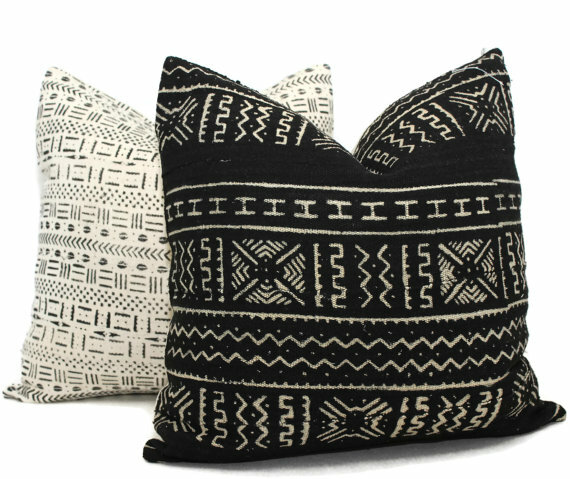 This seller retails these mud cloth pillow covers, along with other designer fabric pillows, at reasonable prices. The antique copper hardware of this mid-century modern sputnik gives it more unique flair!